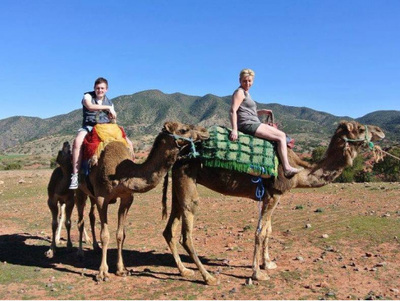 Atlas mountains and imlil day trip is one of the most spectacular day trips from Marrakech if you desire to get out of the city and delve in the authentic and rural side of Morocco. 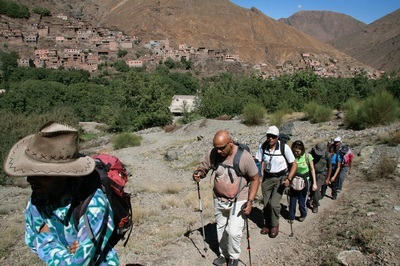 We will start our Imlil day trip at 09am from marrakech by a 4WD vehicle or mini van for 1h30 drive south up the Moulay Brahim Gorges, and the berber village of Asni very popular for its weekly market every saturday then to Imlil Crossing a vibrant green valley that stays fresh and lush even during the hottest days of the summer. Imlil is a small village at the foothills of the highest mountains in Morocco Toubkal mountain. 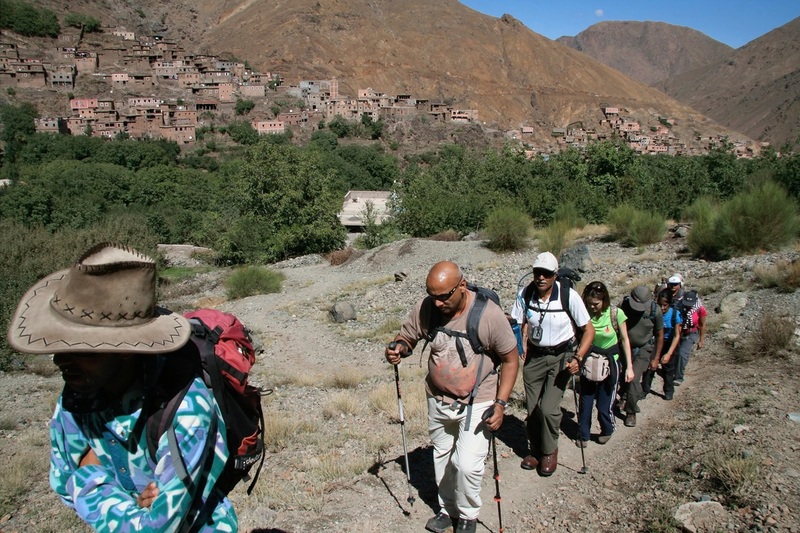 Imlil is the center to hire mountain guides and mules due its unique possition and its connection to several berber villages and a very popular start point of treks and hikes for climbing Toubkal mountain. 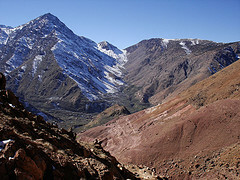 Arrival to Imlil here we shall leave our vehicle and start a walk for around 1h towards the south to the Berber village of Aroumd (Aremd) (1843m) passing the hamlets of ait souka, Targa, and Imoula, up and down the stark slopes, the jagged Western High Atlas peaks of the Toubkal Massif before us - Jbels Aguelzim (3547m), Aksouâl (3847m) and the Adrar Adj (3122m) watching us all the way. 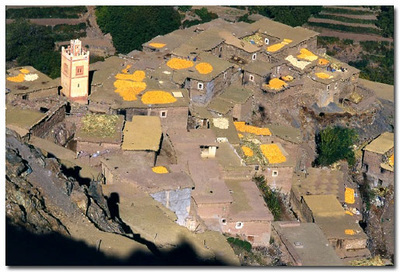 We shall stop at Aroumd to visit this rather singular village in the Assif Aït Mizane Valley, built seemingly house upon house on a large moraine spur, overlooking ancient irrigated terraced fields of barley, corn and vegetables and always surrounded by almond and walnut trees. 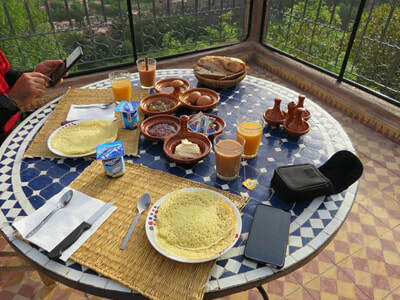 We thence carry on for another Half an Hour to get to our lunch wish will be served on top of beautiful terrace among a berber familly in the village of Achayn Afterwards you can take a short walk before we return to Marrakech. 09.30 Visit souk of Tahanoute (Tuesday), Asni (Saturday). 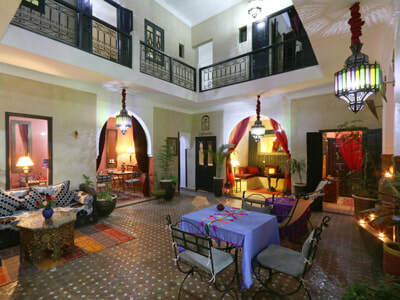 14.30 Relax at the Dar Adrar or, if you have opted for the trek option, take a mule ride/short trek to outlying Berber village for mint tea in a Berber house. £40 pp (based on 4+ travellers); £50 pp (based on 3 travellers); £60 pp (based on 2). 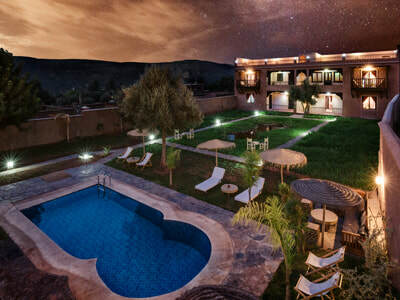 Pick-up/drop-off at nearest parking to your Marrakech accommodation; travel in comfort in private vehicle with professional driver (air-conditioned in summer months); English-speaking guide in the Azzaden Valley; 3 course Berber lunch (with a dramatic view), non-alcoholic drinks. Tips and items of a personal nature. 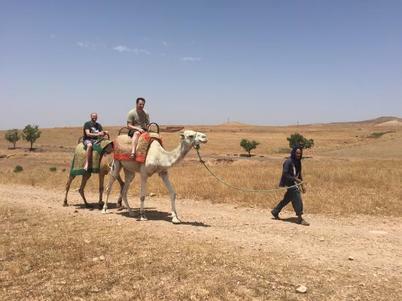 Would you like to Extend the Day trip? 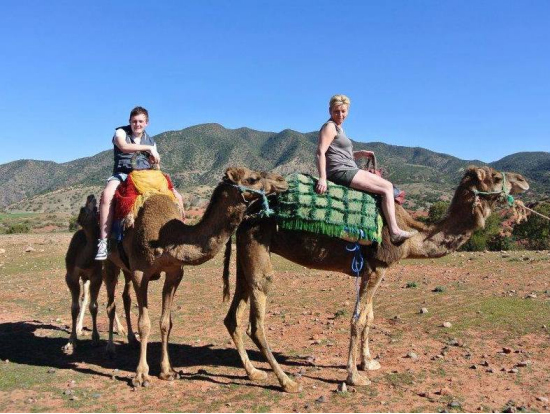 A 1h30 to 2h camel ride will be added to the tour on the way up to the Atlas Mountain. 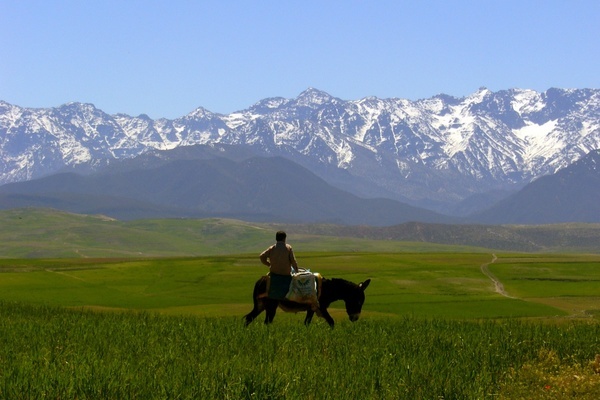 A perfect time spend to explore the Asni valley riding up towards the Atlas Mountains. 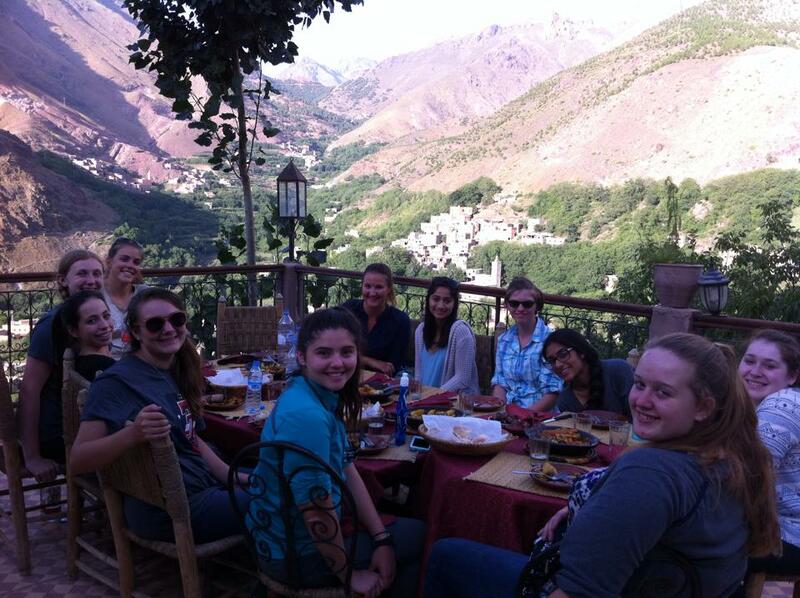 After the camel ride you will move up to Imlil for lunch prior to start your choosen walk. Extra Fee : 15GBP/ person.